TUSCALOOSA — Tony Bryan said he went through the proper channels when he and his wife opened The CBD Oil store on Main Avenue in Northport four months ago. He spoke with Northport city leaders and law enforcement, explaining his products — derived from the cannabis plant that produces marijuana — don’t contain illegal THC that gets users high. That’s why he was surprised to hear this week that the West Alabama Narcotics Task Force plans to stop businesses from selling the oil and CBD oil-based products in Tuscaloosa County. Bryan and his attorney believe the products are legal, based on a federal law that allows the use of industrial hemp. But law enforcement agents disagree, saying the law bans any products made from the plant. The West Alabama Narcotics Task Force called a news conference Wednesday to announce the crack-down and get the word out to businesses. Simpson said some convenience and health food stores in the area have been selling the products, and part of the reason for calling a press conference was to get the word out to each of them. Bryan said he’ll comply with any law enforcement directives he may receive. As of Wednesday, no one had instructed him to close up shop. Simpson said government leaders began asking questions as people began applying for business licenses to sell products made from CBD oil, marketed to ease pain and treat other symptoms such as anxiety. Agents visited the stores that were already in business, sent products to be tested at the Alabama Department of Forensic Sciences lab and spoke with the Tuscaloosa County District Attorney’s Office before deciding to stop those selling the products. “We tried to do this in the fairest way possible,” Simpson said. The Alabama Legislature passed Leni’s Law in 2016, allowing people with seizure disorders and other debilitating medical conditions to use the CBD oil products. That expanded Carly’s Law, passed two years before that authorized a UAB study on using cannabidiol to treat seizure disorders. But attorney Josh Swords, who has represented the Bryans since before they opened the store in June, said shutting down the businesses isn’t the answer. “I understand their position,” he said. “They have no choice but to enforce the law as written. The problem is not with law enforcement; the problem is that federal law has been established as defining industrial hemp as separate and legal within the parameters. Bryan said that he’s gotten to know his customers over the months, and the ailments that have led them to his store — often at the suggestion of physicians. It’s healthier than using prescription painkillers, which have a high chance of creating dependency and addiction and causing liver damage, he said. “I use the products, they help manage my pain. My wife uses them for anxiety and stress,” Bryan said. “Many of the people in our community are coming and getting the relief they’re looking for. The products can be purchased online, he said. Closing down his brick-and-mortar store means people lose their jobs and Northport misses out on the sales and payroll taxes he pays. He said he’ll comply with any law enforcement request, but he will continue to work with Swords to encourage changed legislation. “I’m not going to go against the law,” he said. 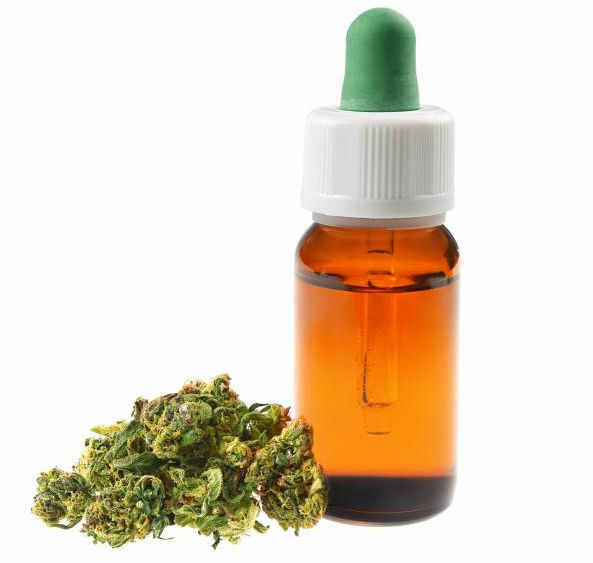 News of the CBD oil crack-down was posted on social media earlier this week, garnering reaction from a lot of people in the public who said that law enforcement is being heavy-handed and misguided. Simpson responded to anyone who feels the narcotics agents have “bigger fish to fry” and should allow the stores to continue operations.